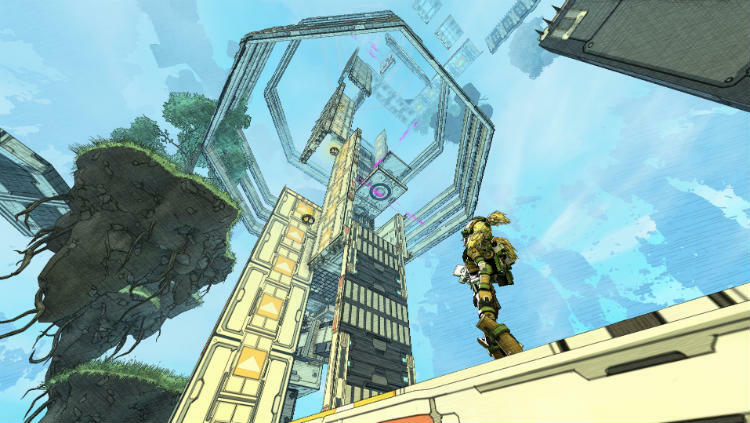 Originally released on PC in 2014 as Cloudbuilt, the game offered up a blend of platforming and parkour action that was a breath of fresh air outside of the FPS genre. 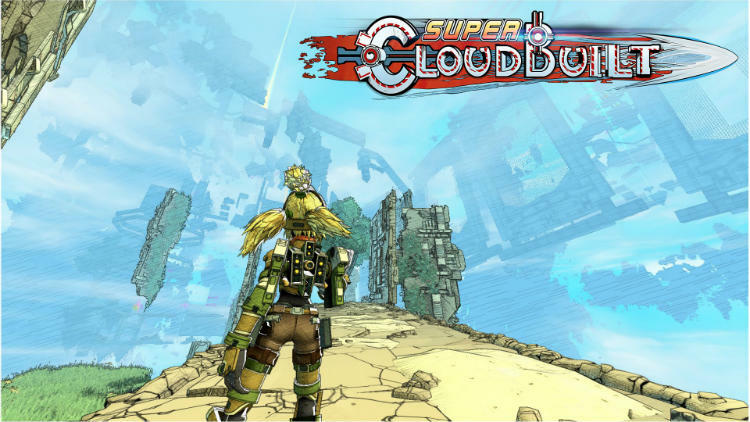 Now three years later, its been completely remastered from the ground up for the Xbox One and PlayStation 4 and is known as Super Cloudbuilt. Complete with all updates and DLC, can CoilWorks’ wall-scaling original game find a home with the console crowd? Let’s find out! You begin the game playing as Demi, a young woman who was critically injured during a colossal battle. You start off playing as Demi in what appears to be a ghostly form. You learn the basic controls of the game in the first few minutes of gameplay and end up in the hospital overlooking your body as it lies recovering from the injuries she sustained. It’s apparent that Demi is undergoing some sort of recovery and her mind is being kept busy while her body heals. Though, as you learn the controls it’s implied that you must not take everything at face value. After all, it could all just be a dream! The hospital acts as a central hub for the game and expands as you progress through the game’s levels. It allows you to thus complete levels in any order. The hospital is divided up into four different areas each leading to a different ending. I was amazed Super Cloudbuilt’s level design, it’s non-linear and contains large elaborate areas with dozens of platforms to reach. Floating walls help guide you in the right direction and each level contains hundreds of different paths to take. If you love speed, then you have come to the right place! Demi’s rocket exosuit will boost the speed at which you your speed to an insanely fast pace that will keep you on your toes at all times. Your lives are limited, so you’ll want to be sure that you collect the four lettered key cards that are in each level. If collected on a single run, you’ll unlock an extra life, believe me you will need it. There are checkpoints randomly placed in each level to help you out, but they are few and far between. I liked that you could pickup deployable checkpoints and place them wherever you want to. This was particularly convenient for challenging sections so that I didn’t have to replay them if I happened to die. Each level has two leaderboards, one platform-specific and the other worldwide across all systems. It’s a neat way to push you just a little bit more to be a top of the leaderboards. Super Cloudbuilt uses an in-house graphics engine that outputs some pretty sweet looking cel-shaded graphics that are vibrant and colourful. The game runs at 60 frames-per-second and never drops a frame no matter how fast you go. It perfectly fits this game as gameplay heavily relies on speed and global competitions. While Super Couldbuilt might be missing a photo mode per say, the vibrantly coloured levels and cel-shaded graphics can be fully enjoyed in the game’s main story mode. Not reliant on time, in this mode you can stop and appreciate the world around you and even switch from the standard art style. Pictures alone cant convey just how fast-paced, brightly coloured and silky smooth this game runs at. Take a look at this video below and then you will exactly know what I am talking about. One of these graphic modes simplifies environments which leaves them with little detail, another emphasises pencil marks throughout the world, and the last one turns the game into a literal black and white book. To be honest, I didn’t really know what to expect going into Super Cloudbuilt. I had not played Cloudbuilt on the PC, so I wasn’t sure if the game would be good or not. After playing for many hours I can say that although the game might be a little tough, it’s fun. The parkour action is intense and encourages creative plays. The game’s story is surprisingly intriguing, learning of Demi’s pains and sufferings and her internal dialogue between stages helps create an emotional bond to the character you are playing. If you are looking for a game that is fun, yet challenging and has beautiful visuals—Super Cloudbuilt is a game that you will not want to pass up.